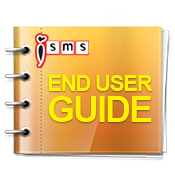 iSMS Malaysia - Online SMS Marketing End User Guide SMS Address Book Manage Group. Lowest price & most reliable Bulk SMS marketing tool. 2 way sms Malaysia, Bulk SMS, bulk sms Malaysia, bulk sms Singapore, online sms solution, web sms marketing. 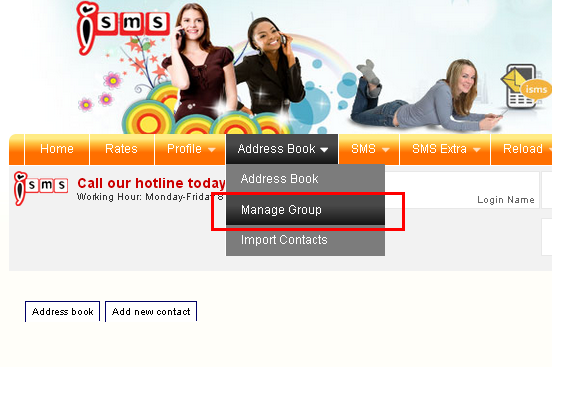 At the iSMS member page, click the Address Book menu tab. Select "Manage Group". Edit | Remove - Edit and delete contact group. Remove with contacts - remove the group with contacts.